Singapore 1971 Commonwealth Meeting Set. SG146-SG149. Mounted mint 1971 Commonwealth Meeting Set. SG146-SG149. 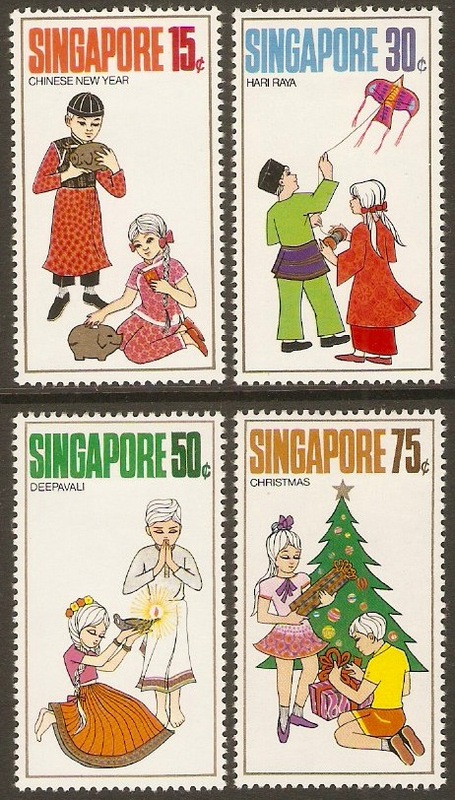 Singapore 1971 Tourism Stamps Set. SG150-SG154. Mounted mint 1971 Tourism Stamps Set. SG150-SG154. 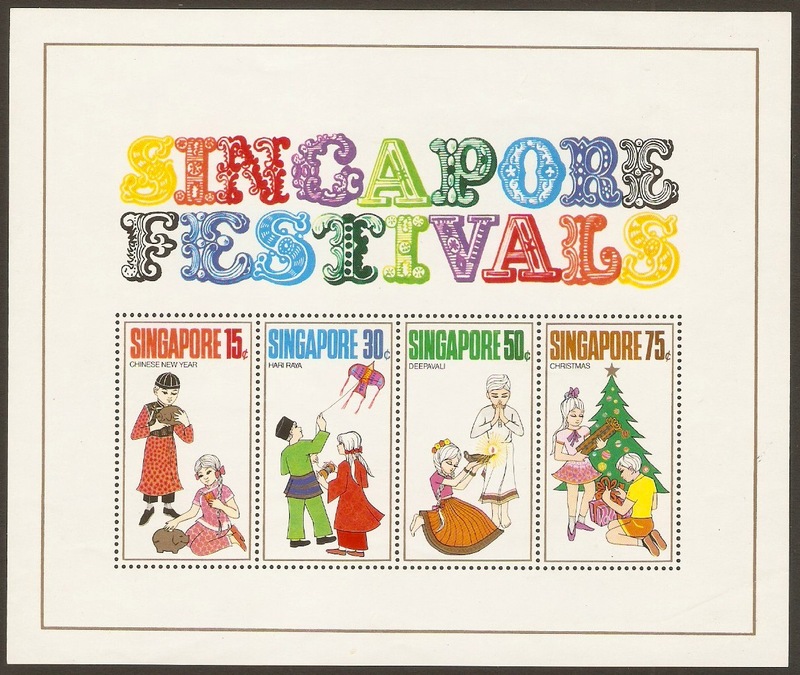 Singapore 1971 Festivals Stamps Set. SG155-SG154. Mounted mint 1971 Festivals Stamps Set. SG155-SG154. 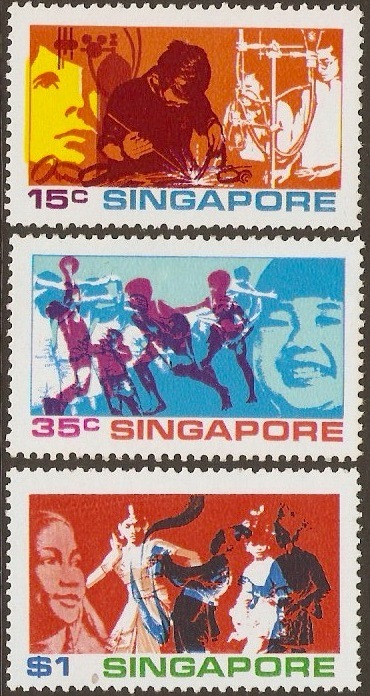 Singapore 1971 Festivals Stamps Sheet. SGMS159. Mounted mint 1971 Festivals Stamps Sheet. SGMS159. 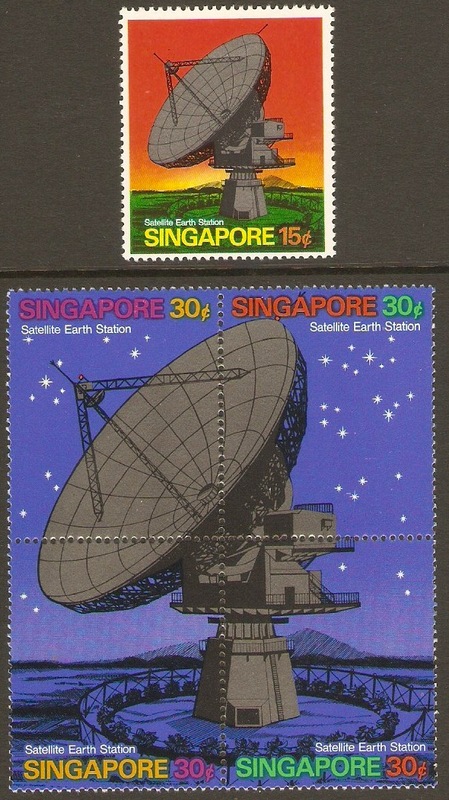 Singapore 1971 Satellite Earth Station Set. SG160-SG164. Mounted mint 1971 Satellite Earth Station Set. SG160-SG164. 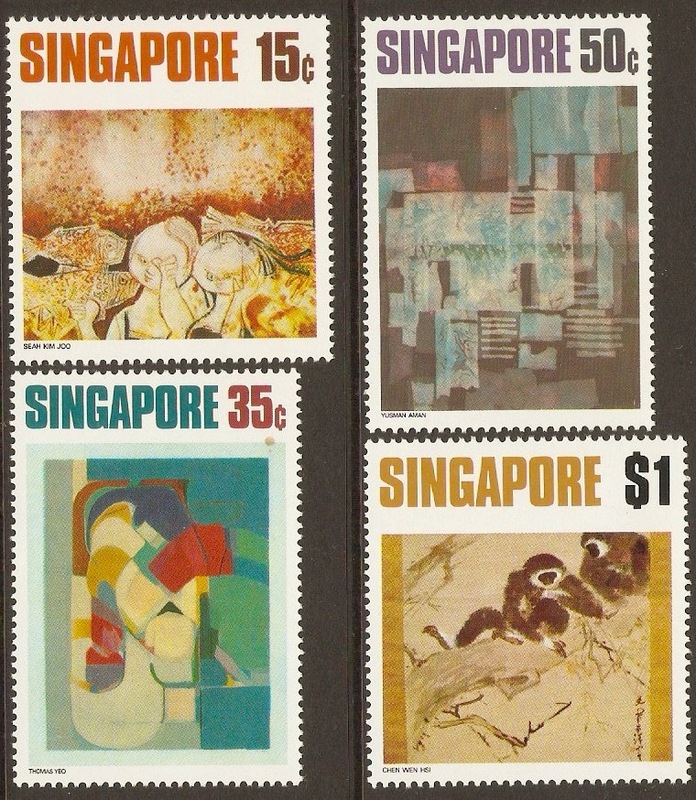 Singapore 1971 Art Stamps Set. SG165-SG170. Mounted mint 1971 Art Stamps Set. SG165-SG170. Singapore 1972 Coins Stamps Set. SG171-SG173. Mounted mint 1972 Coins Stamps Set. SG171-SG173. 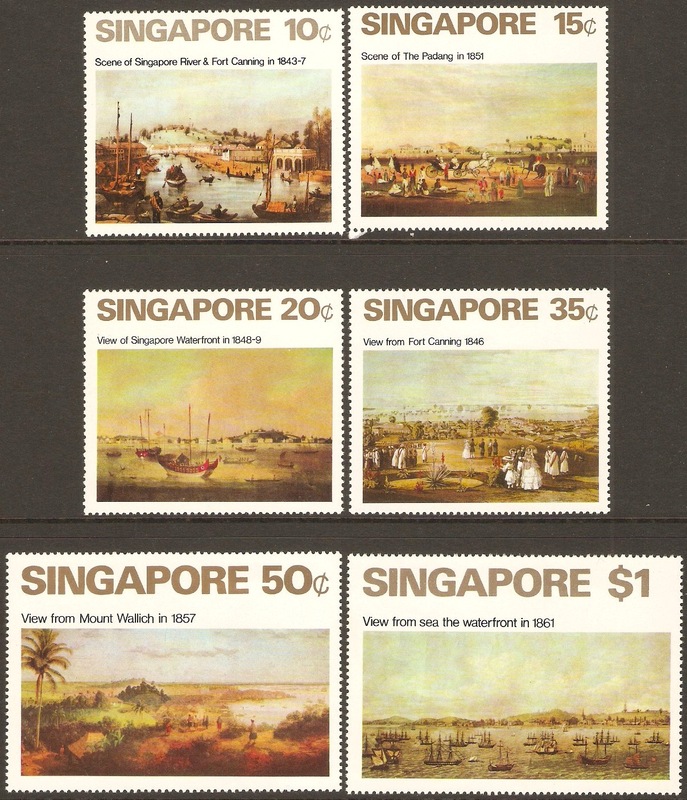 Singapore 1972 Art Set. SG174-SG177. Mounted mint 1972 Art Set. SG174-SG177. NOTE: Small stain under 35c. Singapore 1972 National Day Set. SG178-SG181. Unmounted mint 1972 National Day Set. SG178-SG181. Singapore 1972 Youth Set. SG182-SG184. Mounted mint 1972 Youth Set. SG182-SG184.